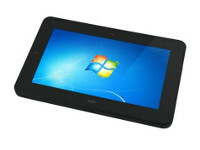 The CL900 is the latest tablet PC from Motion, recognized as the premier provider of enterprise-ready tablet PCs. 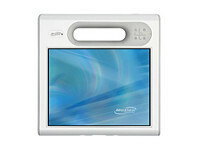 Our knowledge, passion and total dedication to producing the absolute best tablets built for business is second to none. We are exclusively and relentlessly focused on improving the productivity of mobile workers. The CL900 is the result. 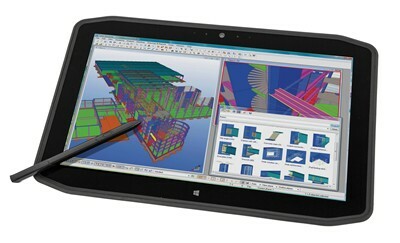 The Motion CL900 is a rugged, lightweight and powerfully equipped tablet PC purposefully designed, developed and built for business. 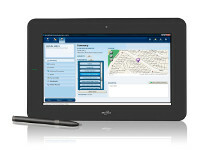 The CL900 helps mobile users to be more efficient and effective – no matter where work takes them. Every Motion CL900 comes out of the box ready to work. Weighing just 2.1 pounds1, the CL900 helps every user to work faster, smarter and more effectively, providing the capabilities, applications and ergonomic ease of use mobile workers need to be more productive in today’s decentralized work environments. The CL900 is designed for the challenging conditions highly mobile workers face every day and is far more durable than any other comparably priced tablet. Built around an internal frame for structural rigidity, it’s designed to withstand a drop from the back of a truck, a countertop or a hospital bed, and is protected against exposure to moisture, dust or harsh temperatures2. The CL900’s display is as tough as it is brilliant. Equipped with Corning® Gorilla® Glass, the resilient display material renowned for its lightweight strength and durability, the CL900 is the first 10-inch rugged tablet that enables both multi-touch and active stylus3 input on a display. The CL900 works up to a full eight hours on just one battery charge4, so workers don’t have to waste valuable time re-charging. In addition, Motion’s industry-leading charging technology provides a workto-charge ratio that reduces downtime. Motion’s unique approach to business computing has taught us that flexibility, versatility and durability are critical for mobile productivity. So, we designed the CL900 to support future expansion options with a unique peripheral module that can be securely integrated into each tablet to help maintain durability and extend features and functionality with tools such as a magnetic stripe reader or fingerprint reader. The CL900’s upcoming “Oak Trail” Intel® Atom™ processor provides the ideal balance between power and battery consumption. As a result, the CL900 can simultaneously run multiple enterprise applications, as well as deliver crisp, colorful HD video and graphics – all while providing up to eight hours of battery life. Mobile workers can’t afford to be disconnected. That’s why the CL900 offers a range of reliable wireless connectivity options to users worldwide. With the CL900, workers can connect in the way that best suits their needs, from integrated Bluetooth® to WLAN to Gobi™ 3000 3G mobile broadband. Motion designs and delivers solutions built for business, which means we take support seriously. The CL900 was built to run on Windows® 7, so there’s no need for IT to rework infrastructure, support a new OS, restrict manageability or sacrifice security. 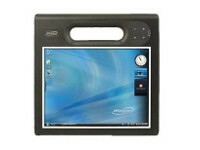 Support for the CL900 is the same as for any other PC in the network.